If you are reading this then I can only assume you are experiencing a certain amounf of distress (the same as many parents who have gone before you). You have just discovered the famous and deeply dreaded creepy crawlies – otherwise known as “NITS” (the eggs that will turn into lice) and “HEADLICE” (the things that ARE crawling) in your loved one’s hair. As a mother of three and from past experience, I can imagine all the things that are going through your head right now (“thoughts” that is – not the “creepy crawlies”!) I know – just thinking about it makes your hair feel itchy and you convince yourself you must have them too! Take a deep breath – all (and more) of the above are all very normal thoughts and feelings to have. 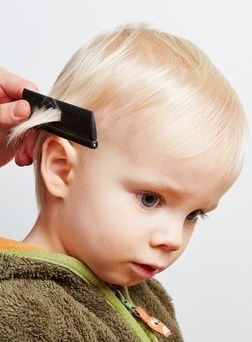 In fact, treating your child for headlice and nits can be compared to treating your child for a runny nose. With some good, sound advice, prompt action and a lot of TLC on your part, both you and your child will get through this unscathed, I promise. My oldest child was only five when I had my first “Nits” experience and believe me, it wasn’t a pleasant one. We were out and about when I noticed he was itching his hair a bit more than you would expect a five-year old boy to do. I had heard of these things that could find their way into a child’s hair but of course, that wouldn’t happen to one of MY kids – not when they were cleanly dressed every day with regularly shampooed hair! (You see, I discovered that headlice do not care whether my child is well- groomed) To my mortification, on further inspection, there were definitely things moving around in his hair. Ewwww! Well that was IT – everything else had to take a step back so that this could be dealt with immediately! A simple trip to the chemist proved to be very confusing. 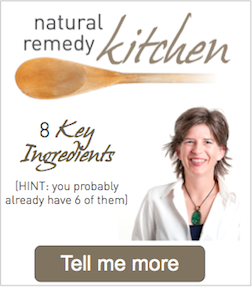 So many formulas to choose from – one that kills lice – “is that the same as nits? I ask – one that kills eggs – one that kills both – one that prevents them coming back – one that you use once – one that you use twice – natural versus chemical? – “yikes! I realized I was desperate enough to want to use ANYTHING, chemical or not, to make them go away in the fastest way possible. Yes, having to deal with headlice can make you feel crazy. As a “first timer” to the whole headlice and nits experience, you will want to find out as much information as possible. But just exactly how do you go about doing this when you really, REALLY don’t want to admit to anyone your child has headlice and nits? You are on the right track. At Goodbye Nits you have access to the information you need all on one site. Not scary, Or confusing, or intimidating. We show you how to keep it simple and easy on you, and as importantly, easy on your child. Together we will work to make this experience not one that you want to forget about, but one that you feel empowered to tackle head on just like you would any other parenting challenge.